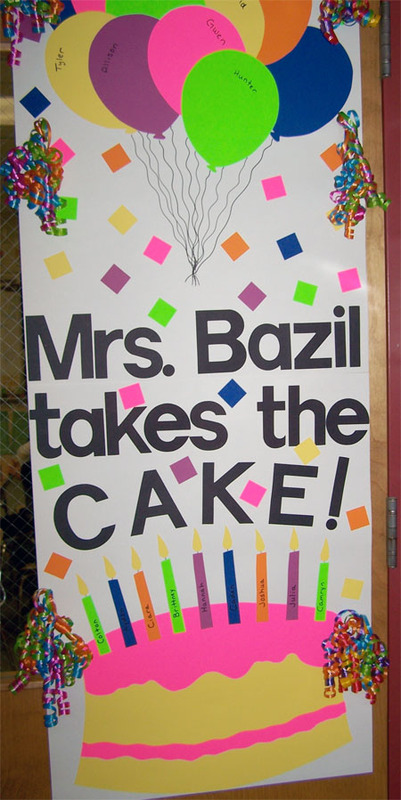 At our school it is a long standing tradition to decorate the teacher’s door (or right outside the door) for Teacher Appreciation Week. If you are looking for some inspiration check out these creative door decorations. 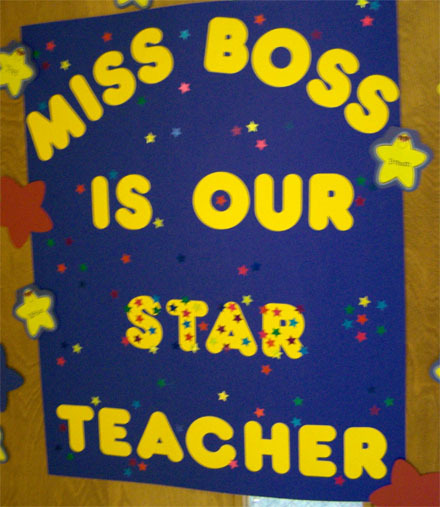 You might also find these sayings for teacher appreciation helpful in dreaming up an idea for your teacher’s door. Does your school decorate doors? Send me your favorites and I will add them! If you are looking for ways to show appreciation for your teachers try these Teacher Appreciation Gift Ideas. This will utilise the Pear Track range providing tracking forr very high value air cargo such as diamond shipments. It will inform you that you are not currently connected to your homegroup. Does anyone have any ideas for "Whack a mole" themed door? thanks for giving me idea to decorate the teacher's door. My kids do this at their school as well. Were doing, You've got the Write stuff. Were putting pencils up and were having pictures of the kids heads over the erasers. So cute!! Before I found this site I had No Idea what to do for teacher appreciation week now my only problem will be figuring out which idea to use. Thank you! Does anyone have any ideas for a theme that incorporates "Teacher of the Year". My son's teacher won the award this year and I'd like to incorporate it somehow. I'm looking for sports themed doors - specifically basketball if possible, so I'm with you Courtney! Hopefully there's something out there - I think I've got a little over two weeks to get this together. Rebecca, How about something like "learning is a slam dunk in Mrs. ? Class"
I'm looking for a cute phrase that goes along with jelly bellies. 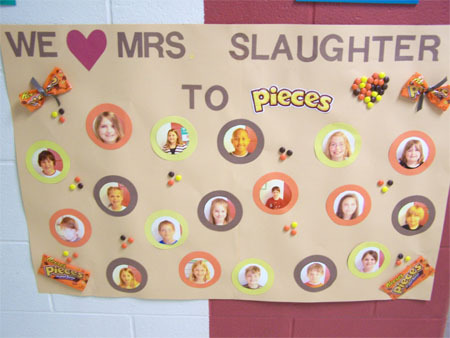 The teacher loves them and I want to cut out jelly bean shapes and have the kids write on them but I need a cute catch phrase to tie it together. Thanks! I looove this idea! I blogged about this. It's set to publish next Wednesday. Thanks for sharing!! These are really great. I've been looking for some ideas to use at my sons school to make teacher appreciation week more fun. That sunflower idea is especially cute. these are great! how lovely that your school does this! bravo! 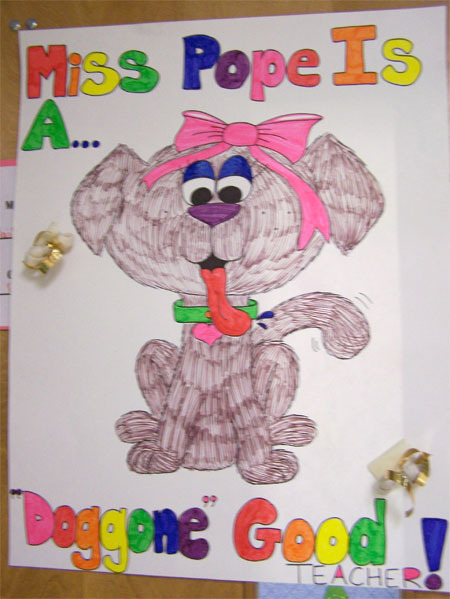 How about for a teacher who loves books.....You're #1 in our book! Math Teacher: YOU RULE! and have all the kids write something on little rulers cut from yellow construction paper! 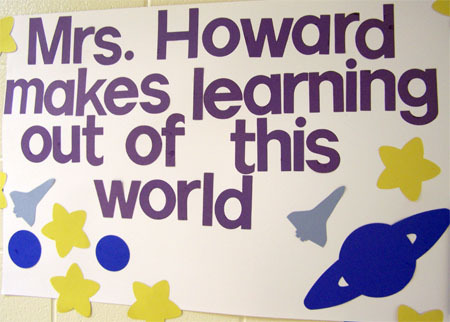 Science Teacher: "You are out of this world" then paint or create planets and have the kids sign them or write on them. What a fantastic ideas!! Thank you for sharing it.. Does anyone have any ideas for a teacher that likes Indian history/New Mexico history? rally awesome. let me try this 4 teachers' day. thanks alot!!! I love these ideas so much. Thank you so much. I am the Director of a Playschool and had the children write on flowers for the teachers doors. Can anyone think of a catchy phrase to go on the door that will go along with the flowers? Karen, How about thanks for helping us 'bloom'! Great ideas! 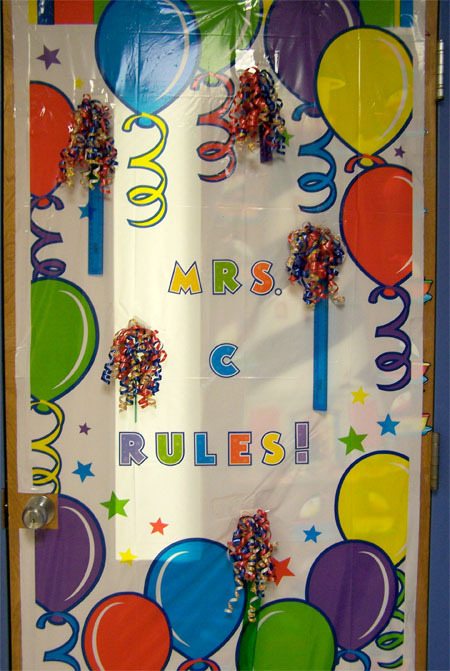 Anyone have any ideas for a door decoration for Teacher Appreciation using a book theme? She loves to read and so do her students. I was thinking of a picture of a book for each students w/ his or her picture and name on each half. I need a catchy phrase like "Ms. W Rocks and Reads" or "Cool Books on Hot Days...Thanks Ms. W" Corny, but can't think of anything else. All ideas are welcome!! Thanks! Fantastic idea. 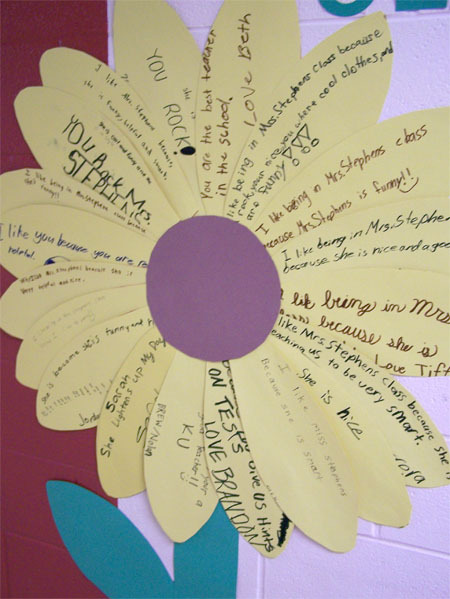 The door Sunflower Of Thanks And Praise, with messages from the kids is spectacular. What a wonderful way to give back and show appreciation! 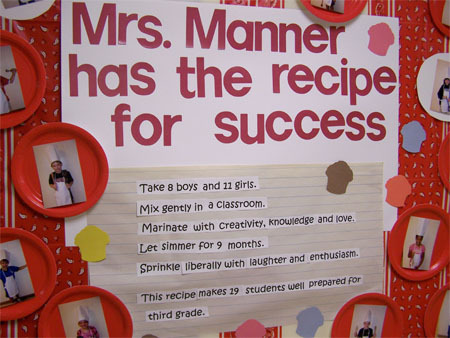 I LOVE the recipe for success! Sent this to my daughter who is a teacher and will want to make one for her classroom. I enjoy your ideas every week. Okay...i am so out of the loop. never saw those before! those are way cute! going to pass those ideas off to the room mom!